But that isn't all that makes Beldi Collective special. Started by Safiya Bouhouch, Beldi is on a mission to support the arts and to provide educational resources and access to underserved communities. "I hope to provide resources to women and children who don’t have access to the same privileges we do, through partnerships with non-profits and organizations," Safiya says. Currently Beldi is partnering with the Tiyya Foundation who provides community support to refugees, immigrants, and displaced American families. In a time of privilege and options, choosing to support a company like Beldi Collective through purchases does more than just stock your closet with a beautiful new bag. These Moroccan leather goods celebrate culture and identity. They show off our diversity but also bring us together. And they have purpose. As Safiya says, "To me, it feels like a powerful choice to be conscious about where my dollars go and choose how I can use my resources to support causes I care about." And we couldn't agree more. Check out Safiya's top favorite bags at the moment and then enter to win a bag for you and a friend below! 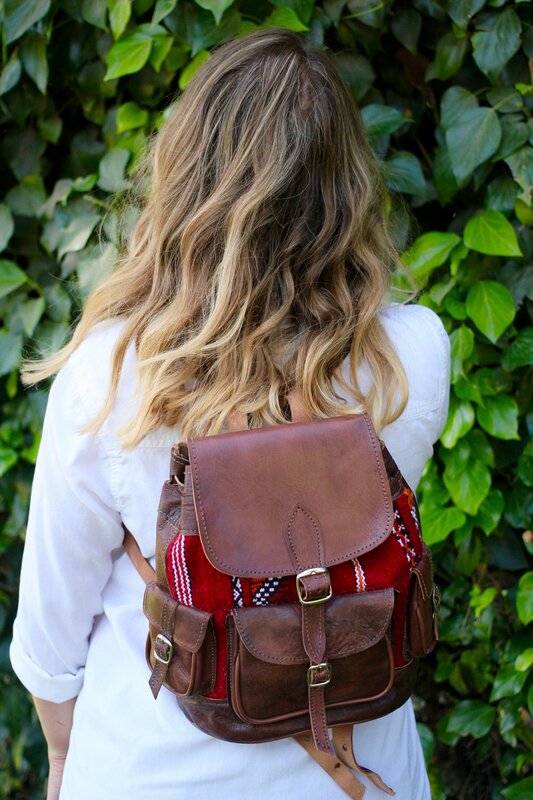 The Kilim Hand Stitched Backpack has a special place in my heart as I found out about the tradition of Moroccan leather handwork through my father’s old backpack that he still has from his childhood. I love that the backpacks have hand stitched designs on the front that are unique, no two bags are exactly the same! 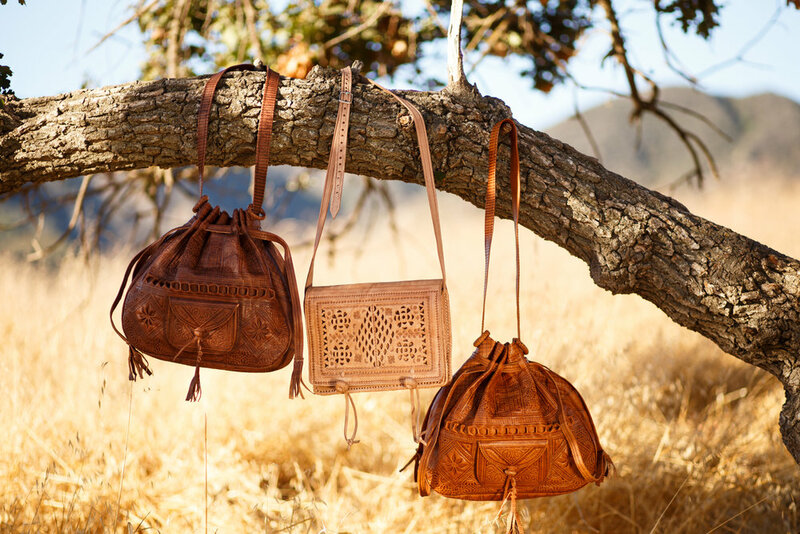 I love the Tangier Crossbody as the carved out designs are so intricate, but it’s still a durable and versatile bag. You can fit a notepad and the usual essentials in it for daily use, or you can dress it up. You and a friend can win leather wristlet from Beldi Collective. Head over to our giveaways page to enter! This post is written by Holl & Lane Magazine in paid partnership with Beldi Collective. We only work with companies and brands we truly believe in. Inspired by a trip to Morocco to support artists and share their goods with a larger audience, Safiya launched Beldi Collective online in 2016, selling leather goods and accessories that are handcrafted in Morocco. The business started as a way to support the artisans, and has grown to support causes related to children's education and access to resources.